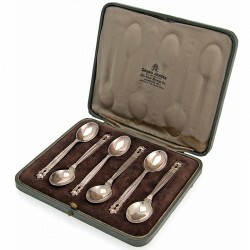 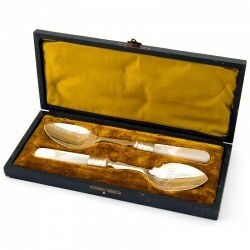 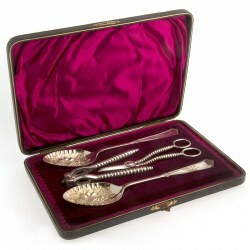 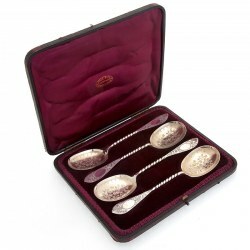 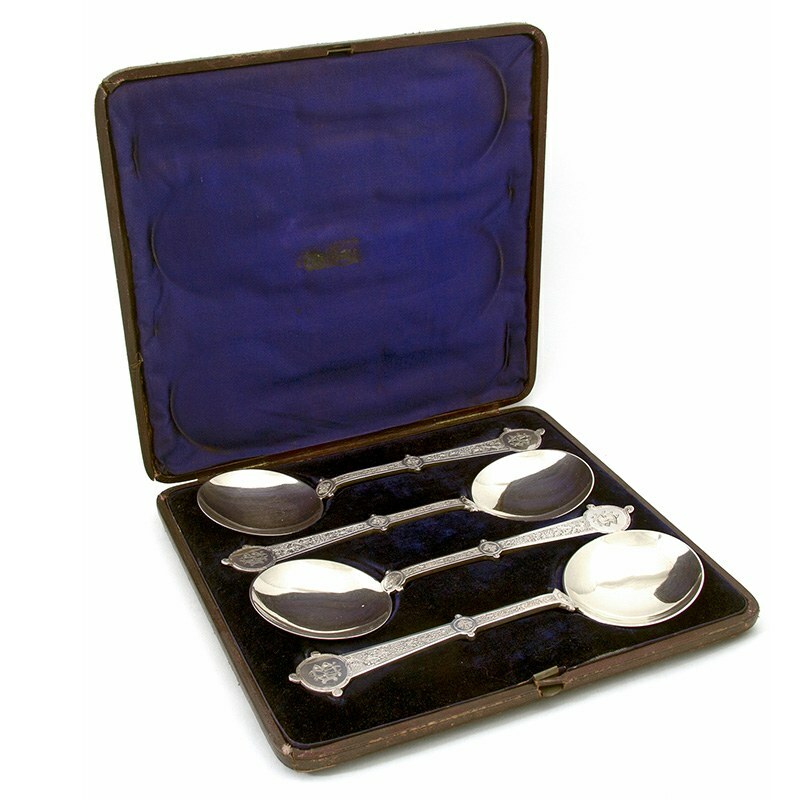 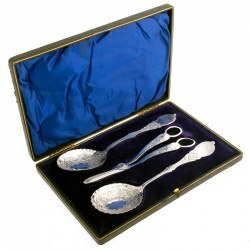 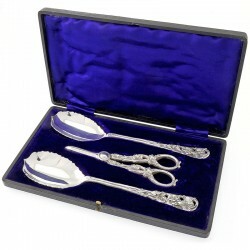 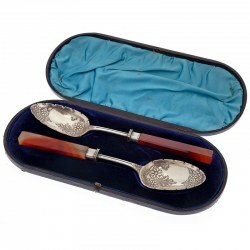 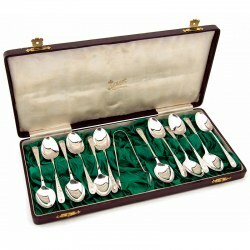 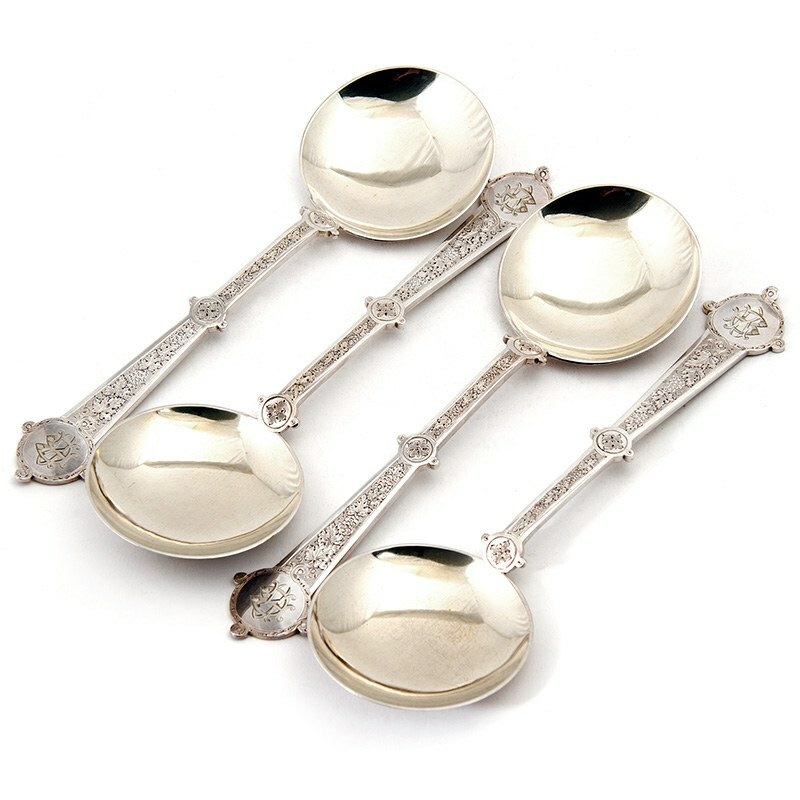 A very good quality antique Victorian silver plated boxed set of four serving spoons fitted in a blue velvet tooled box. 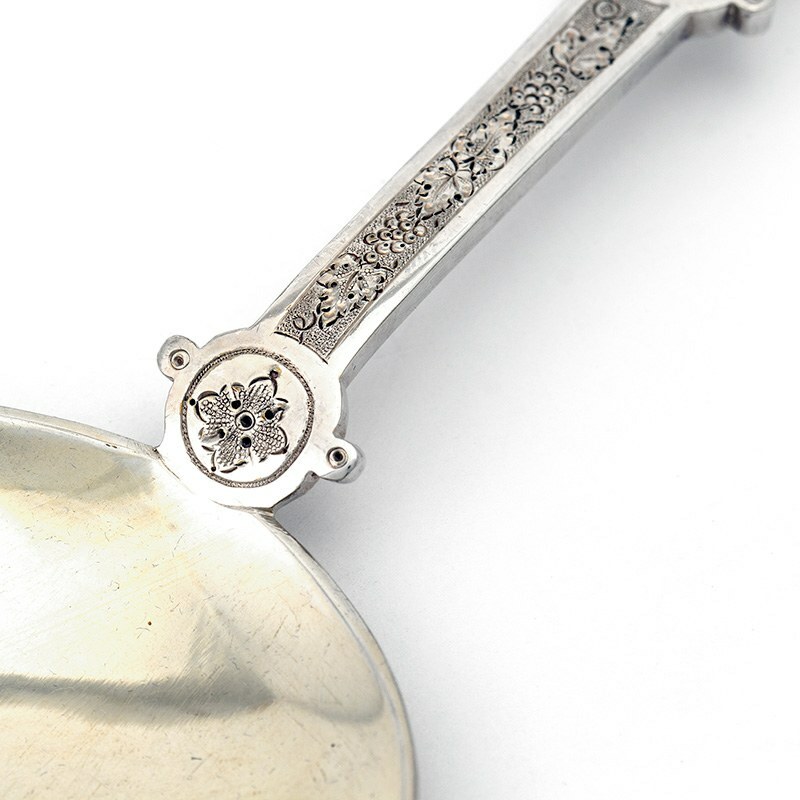 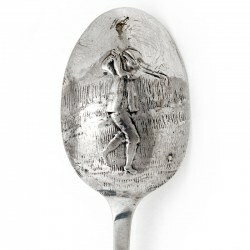 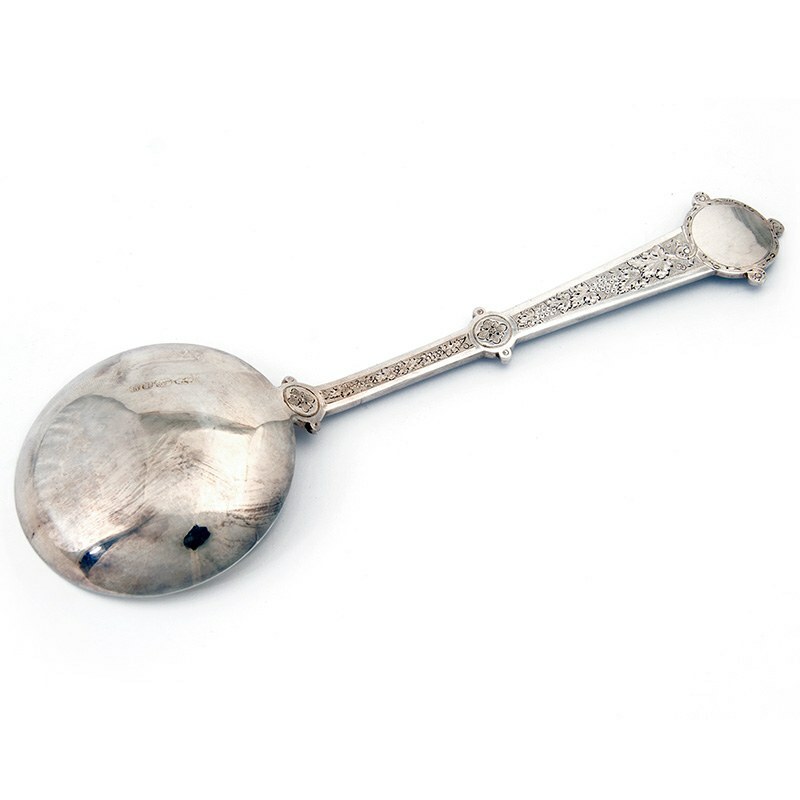 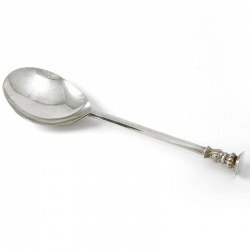 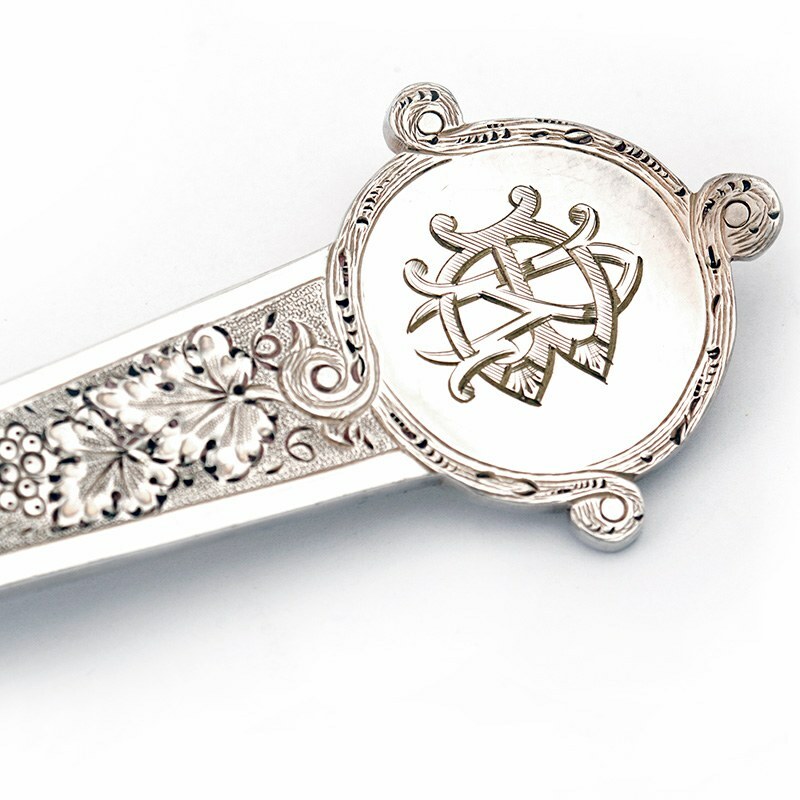 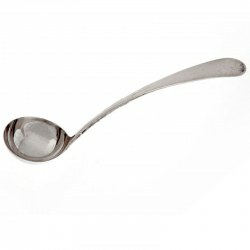 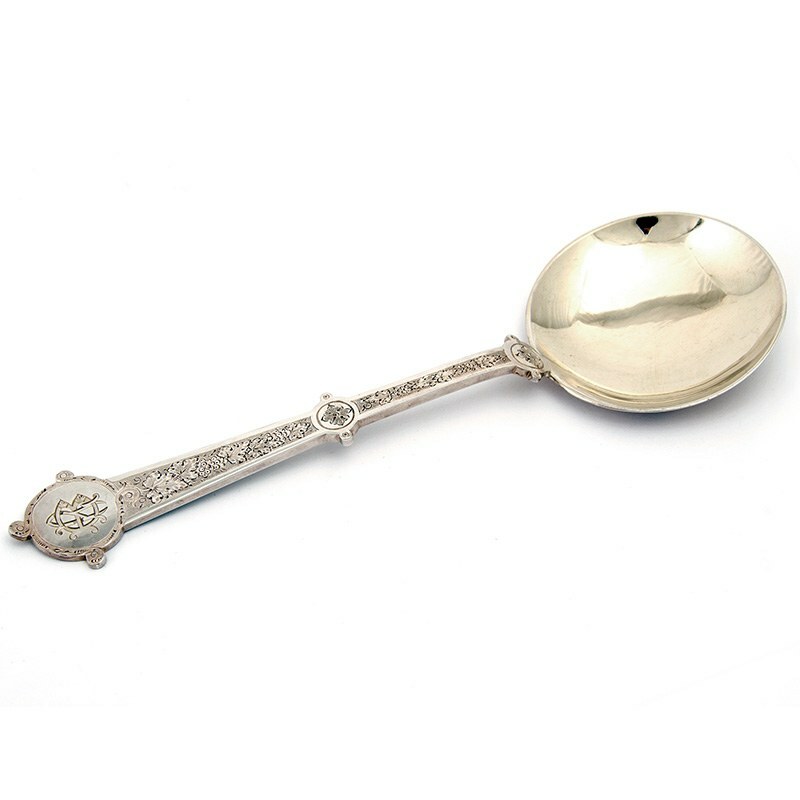 The spoon handles have been chased with a grape and vine pattern and have initials in the cartouche. 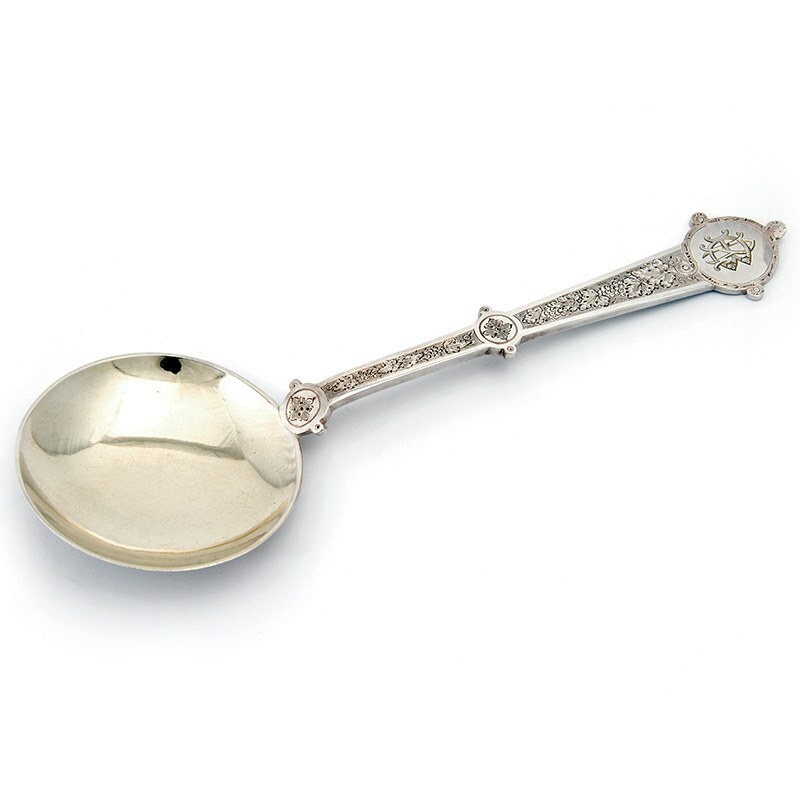 The circular bowl is completely plain and very lightly gilt. All in very good original condition.